British luxury mobile phone maker Vertu introduced their most affordable smartphones so far. 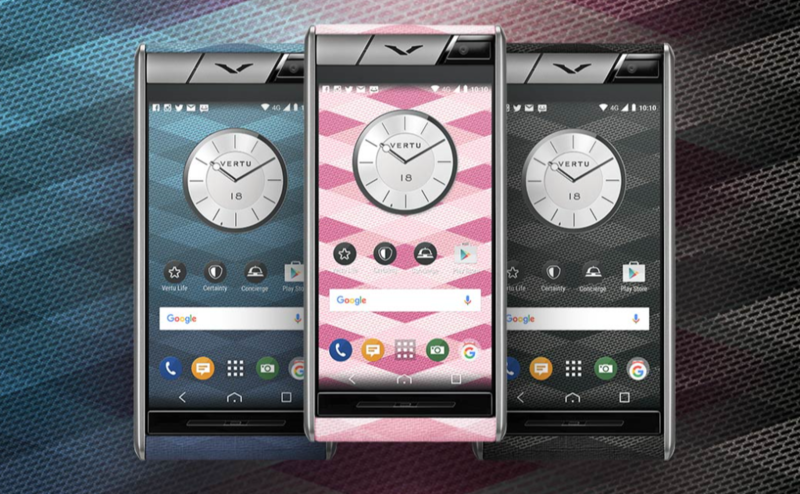 The new Vertu Aster Chevron collection consists of three models – Pink Chevron, Blue Chevron and Black Chevron. The phones feature a sapphire crystal screen, titanium sides, and they are covered in a highly resilient Italian fabric. Each phone costs €3.900, and they come with services like 24-hour worldwide assistance, VIP packages to major sporting events, cultural events, subscriptions for anti-virus and anti-theft software etc. Vertu was founded back in 1998 by Nokia and was sold in 2012 to a Swedish company called EQT VI. However, Nokia remained the owner of a 10% stock package. The Swedish company sold their share in 2015 to Chinese Godin Holdings. You can find out more about Vertu here.